The Monkey Tree Hotel is 1960’s style California chill – updated for the 21st Century, a luxury without pretension. 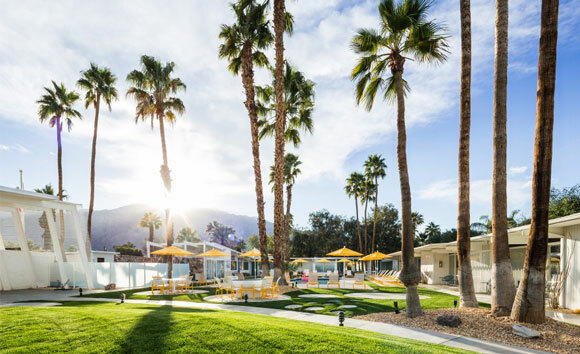 The Monkey Tree Hotel is a private boutique hotel nestled against the backdrop of the gorgeous San Jacinto mountains on a large one-acre property in Palm Springs, California. Originally designed and built in 1960 by renowned modernist architect Albert Frey, the hotel re-opened in 2016, after a restoration by its current owners to its original mid-century modern design. Inside the expansive private courtyard are a large, heated saltwater swimming pool and lush lawn area spacious enough to find a secluded area to relax in peace. HotelSwaps is pleased to announce The Monkey Tree Hotel as its newest member in Palm Springs, California - USA.